It’s back! After a hugely successful first day in 2016, Small Press Day returns on Saturday July 8th. The SPD team of Amneet Johal of the Alternative Press, David Ziggy Greene and myself (Andy Oliver, Broken Frontier Editor-in-Chief if you missed the byline!) have been working away behind the scenes over the last few weeks to ensure that this year’s event is bigger, better and even more exciting than last year’s triumphant day of celebration. As we did last year, we’ve reproduced below the official information sent out to stores to give those wanting to get involved an idea of what to expect. As a reminder of how successful 2016 was I’ve included some images from the day to whet your appetites. Hello to all who took part in, expressed an interest in, and offered support for last year’s Small Press Day! Our inaugural Small Press Day – a celebratory event designed to spotlight the possibilities of small press publishing and to bring its practitioners to the far wider audience they deserve – proved to be a phenomenal success in 2016. No less than 25 events took place in across the UK and Ireland last July including shop signings, fairs, panels and workshops. There were also three online events and enthusiasm for the day was reflected on social media with the #SmallPressDay hashtag trending throughout in the UK. 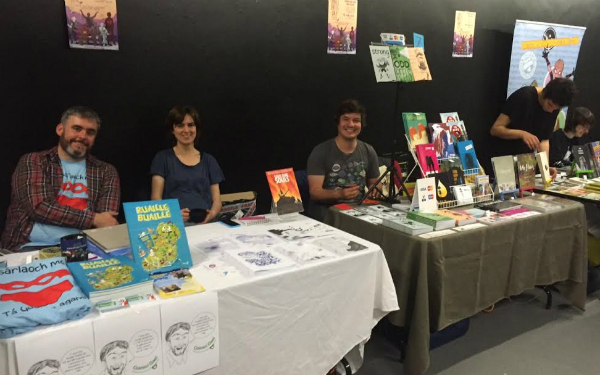 There’s an extensive round-up of SPD 2016 at Broken Frontier here that may bring back some happy memories of a very well-received day. We’re looking to build on that accomplishment in 2017 with the second Small Press Day on Saturday July 8th. 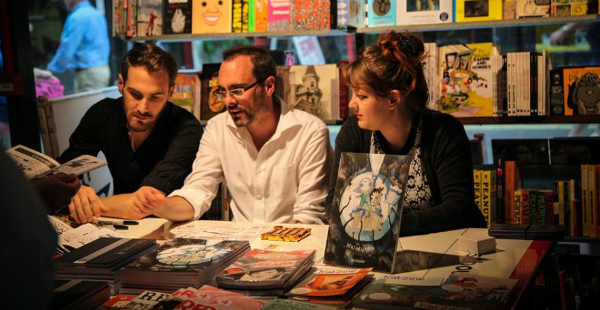 It will once again promote the simple philosophy of last year – an event that requires minimal organisation for everyone involved but will ultimately be hugely rewarding for shops, creators and the small press community. Once again we’re looking for shops and venues of all kinds to take part in the day holding in-store signings with small press creators. 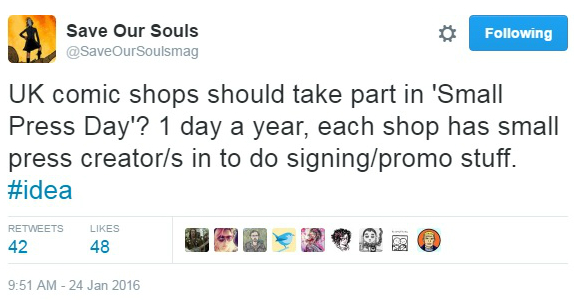 This may involve simply dedicating a small space in your store for a period of a few hours on the afternoon or, as some shops did last year, to turn it into an all-day event with a number of creators coming in to sign in hourly timeslots. As with last year we want you to feel you can tailor the day to your local situation. But we welcome any input you may have about running talks, workshops or panels as tie-ins. The important thing though is that once again we have a day where shops, creators and customers can meet, engage with each other, have fun, and see what great work is being produced by the next generation of UK comic and zine creators! For promotional purposes the Small Press Day website listing all the shops involved and their guests will be at the same url here: http://smallpressday.co.uk/. Please remember to keep us up to date with your plans for the day! We will also be supplying a web poster and banners as we did last year. Posters can be customised again but this year we would like to encourage participating stores to feature the art/characters of their guest creators on them where possible. Our Twitter account will be the focal point for creators, shops, magazines and information and can be found here: @smallpressday. 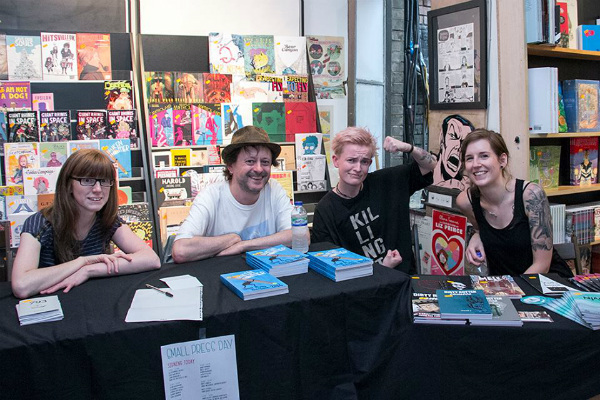 We also have the support of the small press champions and specialists at both Broken Frontier and Alternative Press who will publicise your Small Press Day line-ups in the run-up to the day. So what do we need from you…? It’s easy! Just think of any UK small press/self-publishers who you would like in-store on Small Press Day or whose work you already stock and invite them to come into the shop on July 8th to sign copies and meet customers. It’s as simple as that! 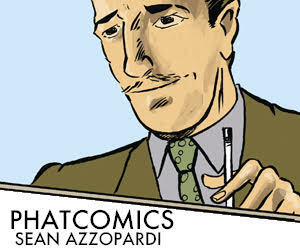 When you have your creators/micropublishers confirmed then let us know at contact@smallpressday.co.uk and we can add you to the rapidly growing list of shops and events. If you need help finding out about local creators or getting in touch, we can also do our best to help out. If you have any more questions feel free to ask. The Small Press Day Team.